Helen trained as a translator and interpreter in German and Spanish at Bradford University and started her career in Advertising Agencies as an Account Manager, before moving into Brand and Marketing with Crown Paint and Group Marketing Manager at Bernstein Kitchens. In 2003, Helen joined the National Trust in Devon and Cornwall Region as Marketing and Supporter Development Manager. Helen moved to Somerset in 2008 to become Project Director of Tyntesfield, a £17 million HLF funded transformation project that was, at the time, the National Trust’s biggest ever project. Having delivered the project, Helen became Operations Director for National Trust South West, managing a portfolio of properties across Somerset and Gloucestershire, from country estates, to historic houses and gardens. Helen led the National Trust’s 2010 Change Programme as Programme Director, introducing an internal consultancy, restructuring 1200 roles and introducing new Values and Behaviours. She became Chief Executive of Mary Rose in 2015 and headed up the 2015/2016 major capital and re-interpretation works ahead of the 2016 relaunch of the Museum. The Mary Rose is an international icon, a miraculously recovered ship and 19,000 astonishingly well preserved artefacts, which tell the compelling story of life in Helen was born and raised in Lincolnshire and received an Honours degree in German and Spanish from Bradford University. She started her career in Advertising Agencies as an Account Manager and moved into Brand and Marketing with Crown Paint. After a spell as Group Marketing Manager at Bernstein Kitchens, Helen relocated down to Devon and joined the National Trust as Marketing and Supporter Development Manager. Helen then moved to Somerset to be Project Director of Tyntesfield, a £17 million HLF funded transformation project that was, at the time, the National Trust’s biggest ever project and in crisis. Helen implemented fundamental change to operational structure, project governance and ways of working to turn the project round to successful delivery. Helen then became Operations Director for National Trust South West, managing a portfolio of properties with a £10m annual income and extensive major project work. Helen also led the National Trust’s 2010 Change Programme as Programme Director, introducing an internal consultancy, restructuring 1200 roles and introducing new Values and Behaviours. 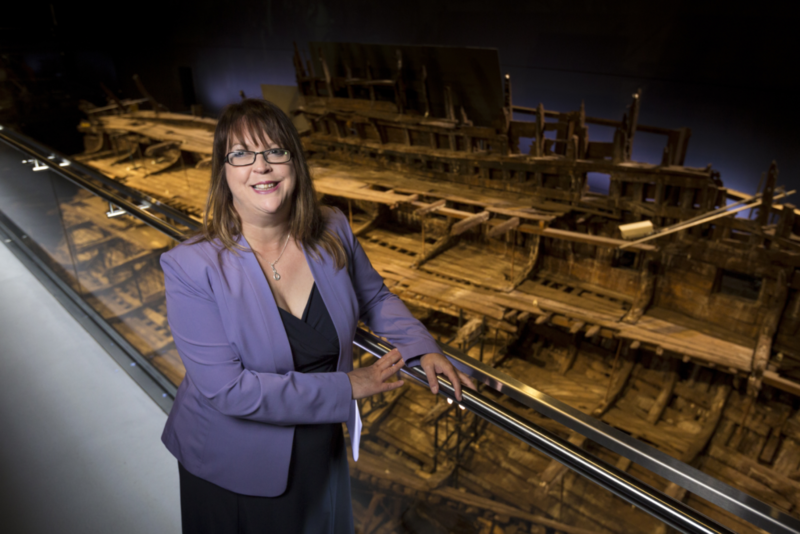 Helen became Chief Executive of Mary Rose in 2015 and headed up the 2015/2016 major capital and re-interpretation works ahead of the 2016 relaunch of the Museum. Mary Rose is an international icon, King Henry VIII’s flagship and 19,000 everyday Tudor artefacts, all beautifully presented in an immersive and emotionally compelling exhibition that receives 85% 5 star reviews on TripAdvisor.